A new LG TV featuring Google Assistant. LAS VEGAS (CNNMoney) - Televisions often aren't very exciting. They're flat black rectangles you tend to forget about when a show or movie starts playing. 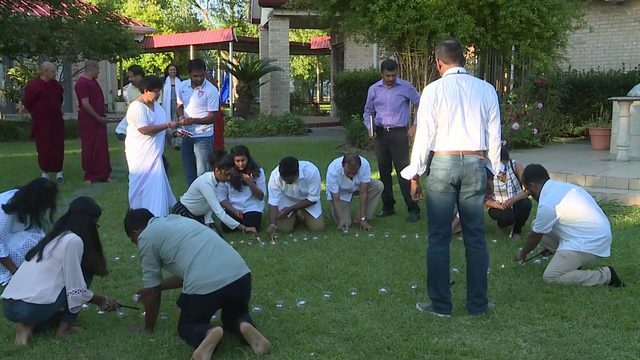 "They are clearly PR fodder for the companies," he told CNN Tech. "TV manufacturers are still casting about for what will trigger the next replacement cycle of TVs, since flat screens have now pretty fully penetrated the market." "Every year, TV manufacturers will show off aspirational products," he said. 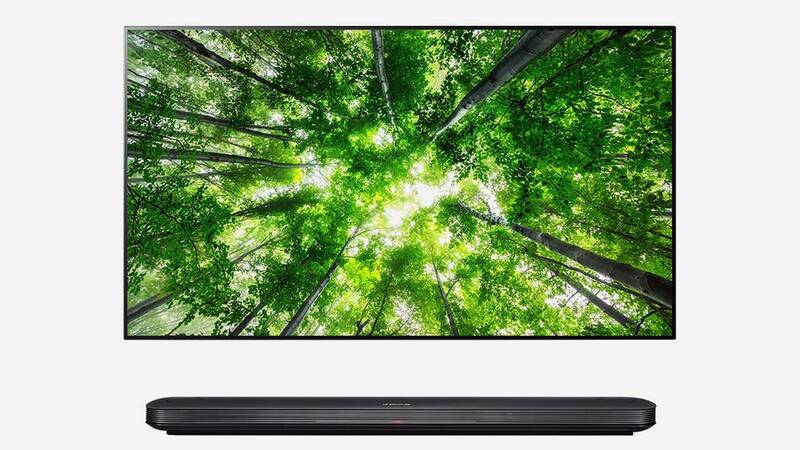 Here's a look at some of the flashiest TVs at CES this year. With the press of a button, LG Display's 65-inch screen slowly lowers into a box, rolling up around a solid core. 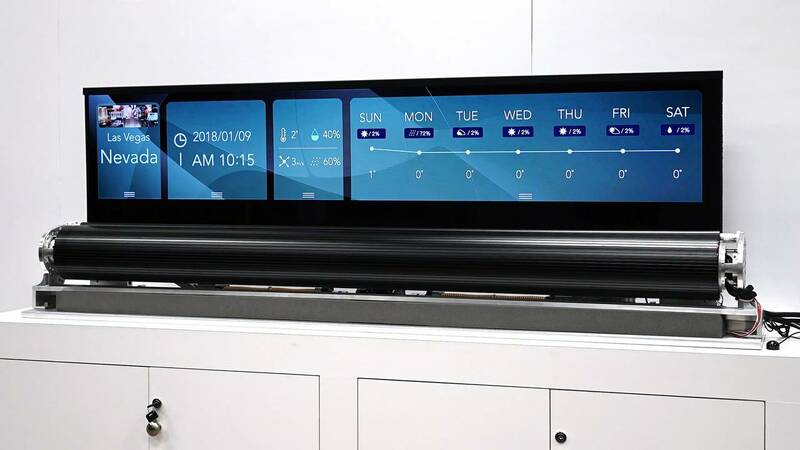 LG Display -- an affiliate of LG Electronics -- unveiled a sleek prototype of its latest rolling screen technology. By pressing a button, you can lower the screen into a box, where it wraps around a metal cylinder, kind of like a window blind. However, don't expect to see this TV in retail stores anytime soon. LG Displays sells the technology directly to display manufacturers -- they will decide if they want to use it for their own products. 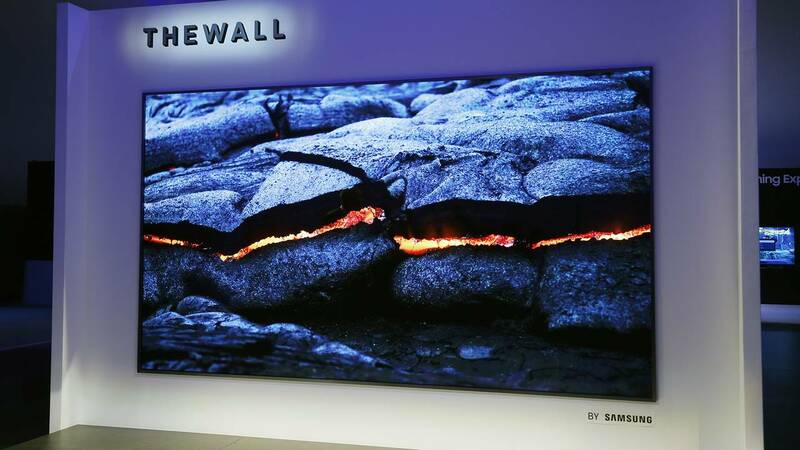 Samsung's 146-inch TV called, The Wall. Samsung's 146-inch TV is appropriately named: the company calls it The Wall. It says the device is its first-ever MicroLED television for consumers. A big draw is that it's modular, which means users can customize the size and shape of the screen by adding or removing sections of it. And doing so won't compromise the display's quality, according to Samsung. MicroLED is a self-emitting technology. The panel is made up of millions of micro-sized chips that emit light individually. It doesn't require color filters or backlighting. "On a wall screen, you can watch TV, designating any section or portion of the display to act like a TV," he said. "But the rest of the wall can continue to display other things: family memories, simulated decor, or the avatars of family members watching remotely." LG's new TVs are the first to have Google Assistant entirely built in. 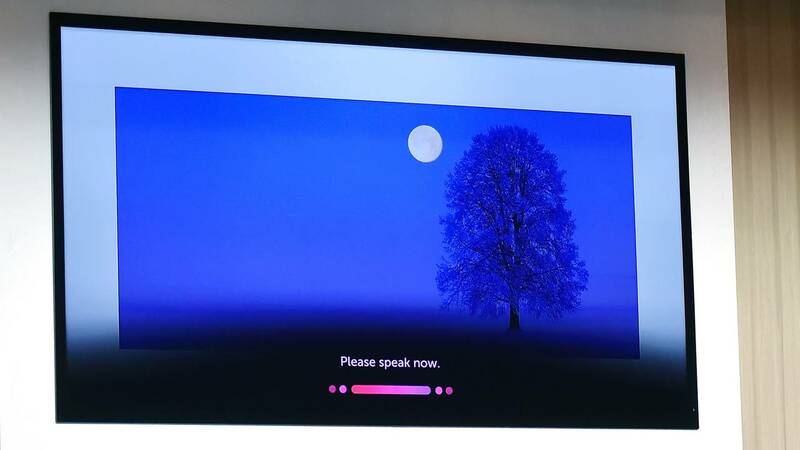 While voice assistants may not be as flashy as a TV the size of a wall, they are a useful feature for consumers, according to Forrester's Nail. "Consumers are telling us it is difficult and confusing to try to find what they want to watch," he said. "The addition of a voice assistant provides an answer to an actual consumer problem." LG's new line of 4k OLED TVs range in size from 55 to 77 inches.